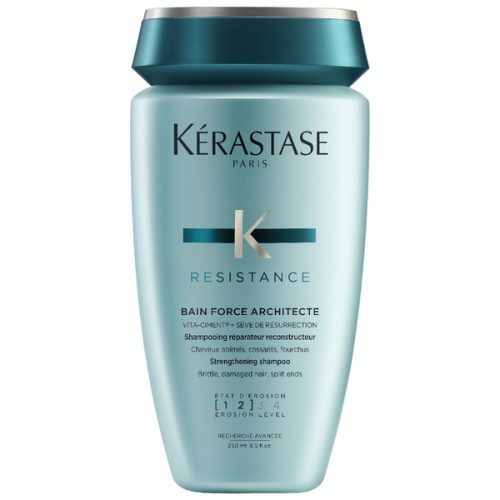 Kerastase Masque Force Architecture is a reconstructing masque for brittle and very damaged hair (erosion level 3 to 4). Hair is deeply and durably strengthened to reveal a more healthy, bouncy and softer finish. Each hair fibre is deeply reconstructed, revitalised, shiny and smooth. 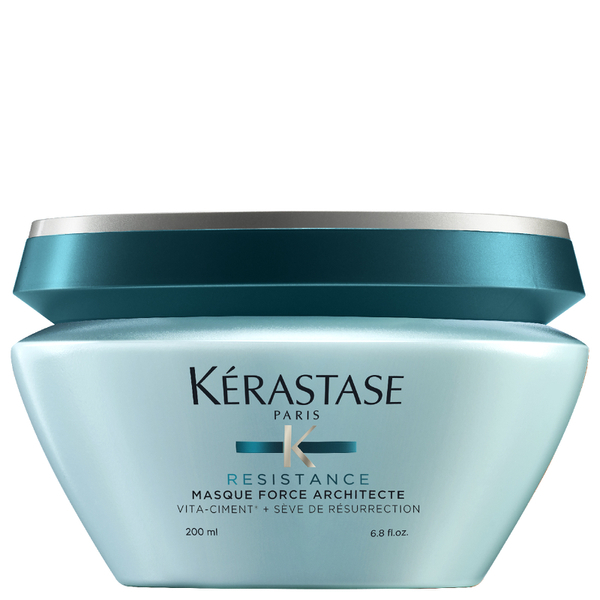 Kerastase Masque Force Architecte is a reconstructing masque for brittle and very damaged hair (erosion level 3 to 4). Hair is deeply and durably strengthened to reveal a more healthy, bouncy and softer finish. Each hair fibre is deeply reconstructed, revitalised, shiny and smooth. Bathe hair twice. Apply 1 to 2 walnut-sized amounts to the lengths and ends of the hair. Massage for 5 minutes, focusing on the most damaged areas. Emulsify and rinse. 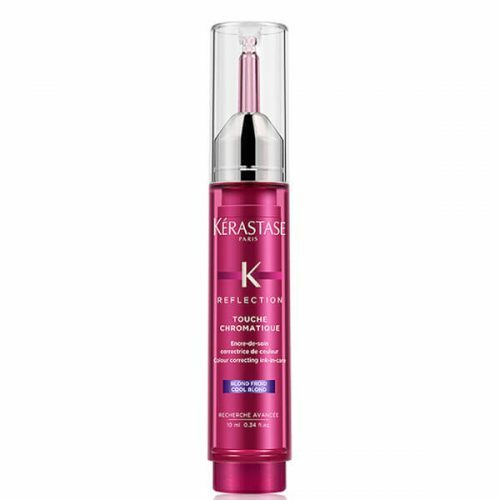 It features Ciment-Cylane3 Complex technology which is a unique combination of Intra-Cylane™ to provide structure around broken hair, Pro-keratin to fill in and strengthen the hair and Ceramides to reseal the scales of the hair.